Where do I begin. First and foremost, the exceptional, amazing and powerful acting from two of the best actors of K-dramas, Park Shin Hye and Ko Hyun Jung. It's seldom to watch a drama with a female villain and in that sense this made the story unique. Ko Hyun Jung's character, Im Jung Hee embraced the dark side to avenge the unbearable tragedy brought upon her and her sibling as part of a group of children living in a welfare centre. I was mesmerized by KHJ's acting as she wielded power over everyone around her. She was soft spoken, hardly raised her voice and yet, behind her smile one can sense a seething anger and the promise of a tragic ending for anyone who dared to cross her path. She was highly intelligent and used that intelligence and cunning to break her enemies and in several instances, outsmart Lawyer Jo. The other half of this powerhouse couple was Lawyer Jo Deul Ho, the friendly neighbourhood lawyer. He was on the right side of the law, fighting for the poor and downtrodden. His disheveled appearance and questionable approach to hygiene aside, he happened to be a brilliant lawyer, totally devoted to his clients and dedicated to uncovering the truth like a dog with a bone. I can only describe Park Shin Hye's acting with one word, outstanding. Together, PSH and KHJ made the drama addicting, gripping and spellbinding. This was for me, more character driven as both Lawyer Jo and Jung Hee used everything in their power to outdo and outwit one another so that the story became secondary. I'm surprised that season 2 did not garner higher ratings than season 1. Season 1 was ok but forgettable and the main lead actress' poor acting ability was blatantly obvious every time she's onscreen with PSH. 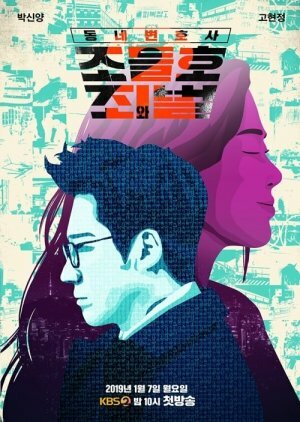 Overall, if you like crime thrillers that this drama has in spades and magnificent acting, I highly recommend this drama.